The width of the stroke is 6x12 mm, unlike all normal markers on the market that have 1x3 mm stroke. It is the perfect marker for trainers and coaches using flipcharts. The marker measures diam. 25 for 145 mm. 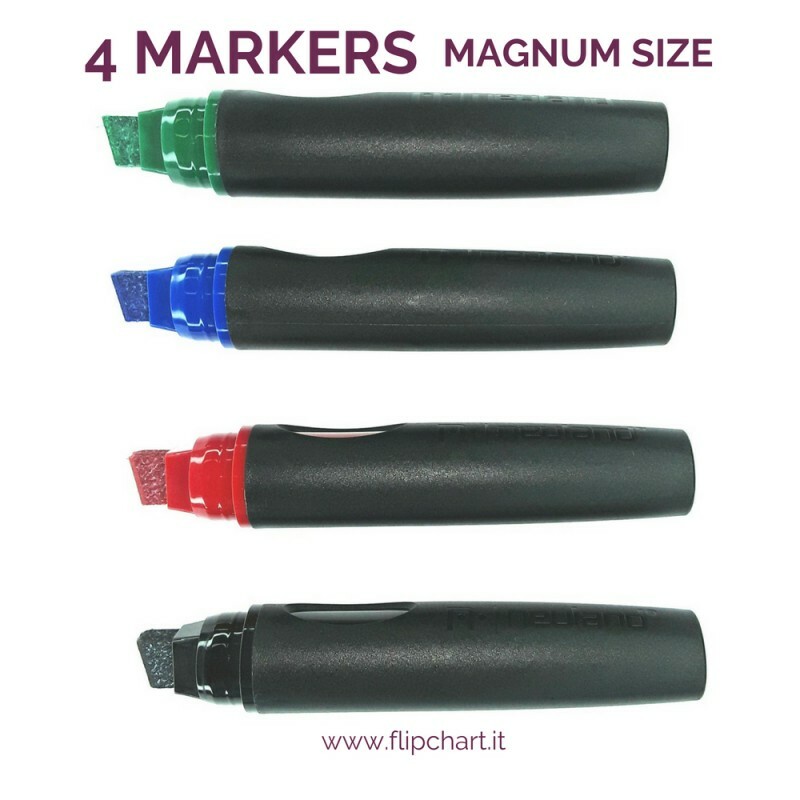 The GIANT chisel tip of the MAGNUM SIZE MARKERS allows you to write clearly and legibly! Odorless water-based ink, bright colors. 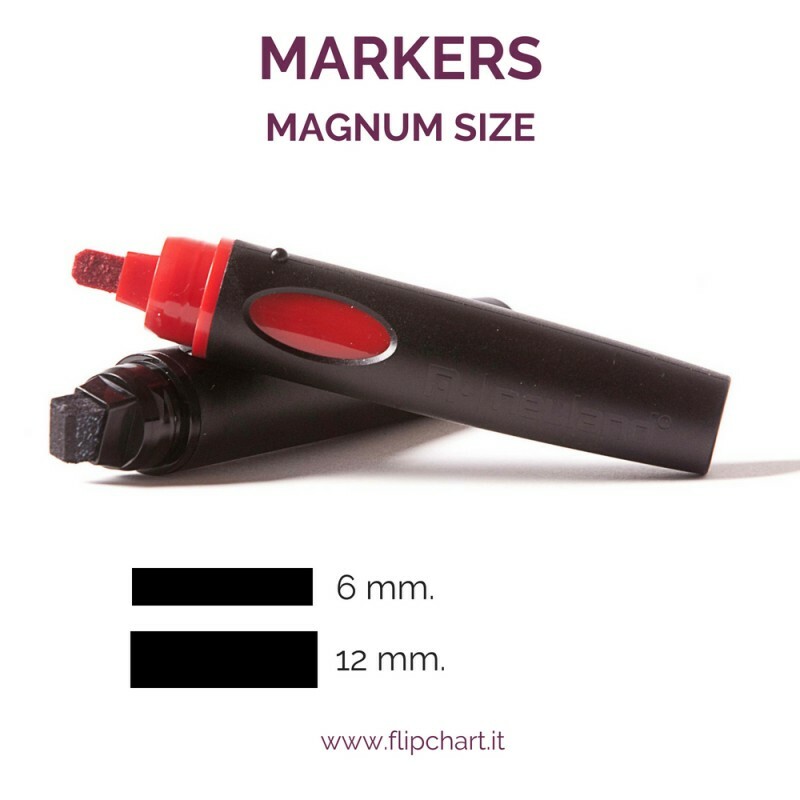 It's the perfect marker for trainers and coaches uses flipcharts. This is the best product on the market. Read even more about the giant flipcharts. Discover our Clients stories and the innovations and updates we suggest for enhancing your prestige! Read now our last news - click here! Write on a flipchart to be proud of! Are you ignoring these tips on flipcharts? KING is the unique Flipchart expressly designed for Coachings and it's Next to the Best all over the world! KING is exclusive: giant and portable. KING is the only one with the double-wide panel granting the lanscape vision. KING enhances all presentations ... also yours! If the packing is spoiled?